Laid Off Loser: Laid Off Loser Album of the Day: "The Night is Ours"
Laid Off Loser Album of the Day: "The Night is Ours"
You might have heard Youth Group on The O.C. back in the day or, more recently, on Gossip Girl. And with good reason: Their sound has that cinematic, oh-my-God-this-is-the-most-important-moment-in-my-life thing that makes music supervisors salivate. This Australian quartet is an interesting case. There's a touch of the epic in their sound, but they avoid coming off as U2 or Coldplay wannabes. They make emotionally-charged modern rock, but they don't fall victim to emo trappings. They're in the same stylistic ballpark as Snow Patrol, but somehow not as lame. 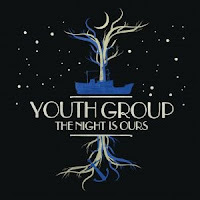 Spend some time with The Night is Ours and it will grow on you. There's a little Smiths ("All This Shall Pass"), a little shimmering post-punk ("One for Another") and a lot of good storytelling and song titles ("Dying at Your Own Party" qualifies in both cases). The anthemic "Good Time" is one of the best comedown songs in recently memory. "Babies in Your Dreams" is a killer Death Cab homage, whether intended or not. Try this one in the car some listless summer night while you're driving around with no destination in mind. It'll feel just right. Thank you for useful links. It was easy to read, but I'd like to add that if your company needs to be updated try software development services. Thanks for mentioning this great info. For auto owners who is looking for new cars, get online auto quotes from top car insurance companies.